Between 1891 and 1912 a distinct community inhabited by dreamers and builders grew on the South banks of the North Saskatchewan River. The community known by various names; South Edmonton (1891-1899) the Town of Strathcona (1899-1907) and the City of Strathcona (1907-1912), fostered not only the growth of the railway, mills and brick yards, but true community spirit. In 1912, this once fiercely protected distinct community was amalgamated with the City of Edmonton. In time what made the City of Strathcona unique was forgotten by many. Throughout the decades since amalgamation, the buildings erected by the pioneering founders were sustained through basic neglect. Not only were the buildings preserved but the community spirit which had once been fiercely protected, was fully intact. The desire to protect the community has never been more evident than in 1974 when a freeway was planned for this area. A group of concerned citizens joined together to stop the progression of the freeway and the Old Strathcona Foundation was born. Without the endless work and commitment of the Old Strathcona Foundation, this Heritage community would not exist and continue to evolve. The Old Strathcona Foundation continues today to proudly preserve and promote the history of this truly unique and lively community. 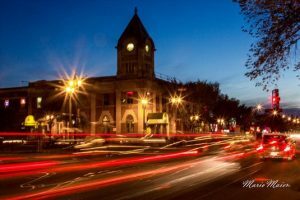 The Old Strathcona Foundation’s mandate is the preservation and restoration of the historical assets of the area, complimented by programs to revive the cultural amenities in the area to make Old Strathcona a place where people would want to live and where businesses would prosper. The community believing, preserving and sharing in its heritage.